This family-friendly Broadbeach hotel is located by the ocean, within a 15-minute walk of The Star Gold Coast and Pacific Fair Shopping Centre. Surfers Paradise Beach is 1 mi (1.5 km) away. Broadbeach South Light Rail Station is 8 minutes by foot. 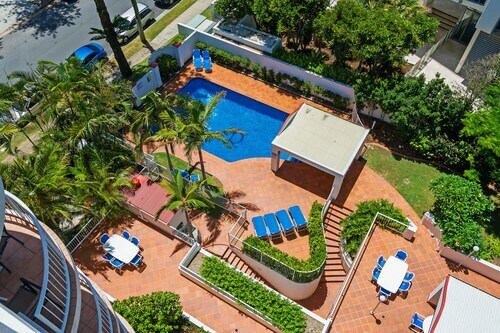 Situated on the Strip, this apartment building is within a 5-minute walk of The Oasis and Kurrawa Beach. Gold Coast Convention and Exhibition Centre and Pratten Park are also within 10 minutes. Broadbeach South Light Rail Station is 12 minutes by foot. 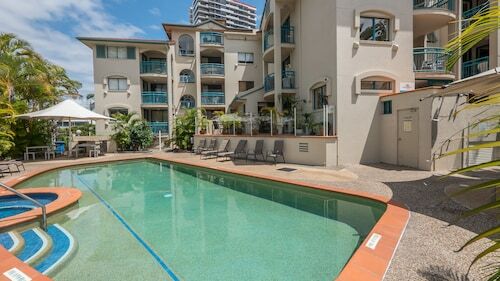 Situated by the ocean, this luxury apartment building is within a 10-minute walk of Kurrawa Beach, Pacific Fair Shopping Centre, and The Oasis. The Star Gold Coast and Gold Coast Convention and Exhibition Centre are also within 15 minutes. Broadbeach South Light Rail Station is only a 5-minute walk. The Gold Coast of Australia is home to heaps of quaint beach towns. From Coolangatta to Surfers Paradise, you’ve got plenty of places to try next time you get a craving for the seaside. Our recommendation? Broadbeach. A place where, surf, sun and sand come together to create an idyllic holiday destination. Our Broadbeach travel guide is the perfect way to figure out what to do and where to stay. Join us, won’t you? How do I get to Broadbeach from the airport? Your flight to a dream holiday will land at Gold Coast Airport (OOL), 18km from Broadbeach. There’s a number of ways to get to the city centre and your Broadbeach accommodation, like renting a car, riding the bus or taking a taxi. When you come here for a holiday, you expect to stay in a hip, happening joint. Well, we have a few you should probably check out. What kind of hotels are there in Broadbeach? The variety of Broadbeach hotels to stay at seems endless. Seriously, there’s everything here from backpacker hostels to multi-star resorts. 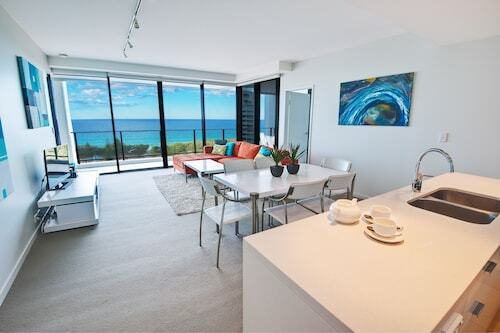 Mantra Broadbeach on the Park: This apartment-style hotel is a perfect place to serve as your home away from home. One, two and three-bedroom apartments are all on offer. All you have to do is choose the right one for you. Meriton Serviced Apartments: “Living in the lap of luxury” takes on a new meaning at these full-service apartments. Their oversized suites are plenty big for you and a few friends to sit back and relax. Where should I stay in Broadbeach? 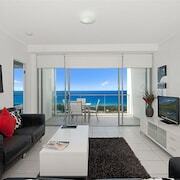 You can find accommodation in Broadbeach around every corner. There’s beachfront bungalows and high-rise luxury hotels. It’s up to you to figure out where to stay, but we can offer some suggestions. 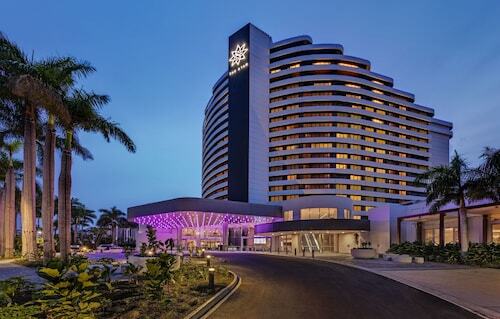 The Sofitel Gold Coast Broadbeach is in the centre of town and only a few blocks from the beach. There’s two fine on-site restaurants for you to enjoy a meal at, a bar with a gaming lounge and a beautiful pool area to relax by. The Phoenician Resort resembles something you might find on the Greek island of Santorini. This place is so close to the beach; you could almost throw a stone into the ocean. This resort also boasts a fully equipped gymnasium, an indoor and an outdoor swimming pool and an incredible spa facility. Need we say more? If you’re looking for an oceanfront Broadbeach hotel, look no further than Oceana on Broadbeach. Hard not to laugh as you imagine your co-workers sitting in their cubicles back at the office. What are some things to do in Broadbeach? Don’t worry about being bored during your stay on the Gold Coast. There’s a ridiculous number of fun activities to take part in! SkyPoint Observation Deck: Located at the top of the Q1, this two-level observation deck on the 77th and 78th floor is the perfect place for taking in stunning views of the entire coast. If you look hard enough, you might even to be able to spot New Zealand. Just kidding. Surf lessons: Don’t worry, the boys at Broadbeach Surf School won’t be pushing you into any double-overhead sets. The gentle swells rolling onto the sand will be perfect for your beginner skills. Whether you come for business, for pleasure or a little of both, Wotif has the best deals on Broadbeach holiday packages. Don’t believe us? Just book one now and see what happens. And then book Canberra accommodation and take the hour-and-half flight to the capital city. It’s worth seeing. Need insider tips on must-see attractions in Broadbeach? 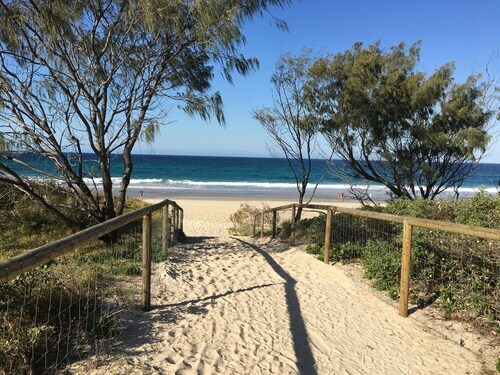 Check out our Broadbeach travel guide! How Much is a Hotel Room in Broadbeach? Hotels in Broadbeach start at AU$100 per night. Prices and availability subject to change. Additional terms may apply. 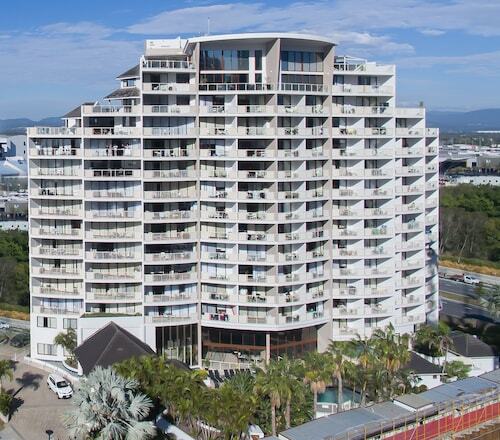 Property was right in the heart of Broadbeach with excellent access to restaurants, shops, beach and Casino. Apartment was clean, comfortable and tidy. Mark was a great host who communicated well and was very friendly. We could not fault our stay at The Ritz Resort. The apartments were clean and well equipped. The staff were very friendly and helpful. We will certainly be back next time we stay on the Gold Coast.